Sparklecrack Central: Color Features: Shop your Stash! 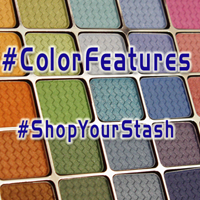 Home > Audience Participation > Color Features: Shop your Stash! I’ve been kind of quiet here lately. Yes, there are the daily (or near-daily) item-profile posts; but I haven’t posted much in the way of news or opinions or anything else in a long time. I think I need a comeback: something that gives me a loose schedule, something that gives me room to improvise a bit, something that invites others to participate but will go just fine if no one else plays along. ...but…do you want to play along? All you need is some kind of place where you can post content on the internet. That’s a blog, a social media channel, or even a Flickr account. All you have to do is post something once a month, tagged so that we can all find it and share it. I’m doing a monthly “shop my stash” theme, using my Sleek palettes and featured colors. I’ll be designating two palettes for each month and using them as much as possible throughout that month, and then augmenting my palette-based eye looks with color cosmetics - eyeshadow, nail polish, eyeliner, anything - in one of two designated colors each month. Take this chance to rediscover makeup and polish that you haven’t used in a while. The colors aren’t going to be specific shades, but a certain depth of an entire color: light blue, medium orange, dark purple, et cetera. I’m concentrating on the primary and secondary colors - and, since some people do not wear blue or green eyeshadow/highlighters and others do not wear yellow/orange eyeshadow/highlighters, but red (mauve, pink, etc) and purple (plum, wine, etc) are a bit more universal, I’ve designated two featured colors for half of the months. Your makeup can be single-color eyeshadow looks, one-shade manis, two-tone halo eyes, simple french nails or water transfers. It can be something you would (or do, or have!) wear during a normal day for you, it can be an afternoon's artistry that you'd never wear outside your home. Whether you post on Instagram, Facebook, Twitter, or your blog…please list all of the items that you use. 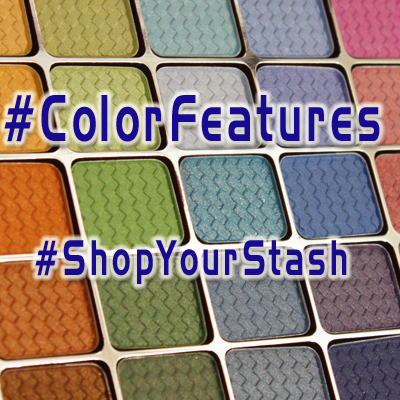 Tag your images and link-posts with #ShopYourStash #ColorFeatures. Then look through the tag. Draw inspiration, give inspiration, comment, like, share...and do it all over again. I'll be here all year, doing this. Kickoff is next week! !